I have been asked to do a skincare routine video for the longest time and I'm finally getting around to to show you what I use every single day. The reason why it has taken me such a long time to record this video is because I wasn't completely happy with every product that I was using. I was experimenting with a few new products and they weren't giving me the results that I wanted, so I just went back to my old faithfuls and now my skin is very happy. 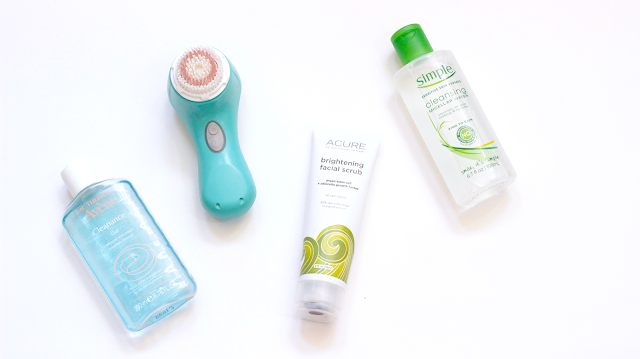 It sure feels great when you finally find a routine that works wonders on your skin. In this latest video I'll be talking about all the products that I use, how I use them, and in the order that I use them in. I have oily acne prone skin so I personally would not recommend anyone with normal or dry skin to use the majority of the products that I'll be talking about. Always make sure that you use products that correspond to your skin type. I hope you enjoyed seeing what I use on my face! All the pictures of my bare skin are not photoshopped, in fact I never photoshop any of the pictures on my blog. You get to see all my baby wrinkles and dark spots that I have around my jaw area. 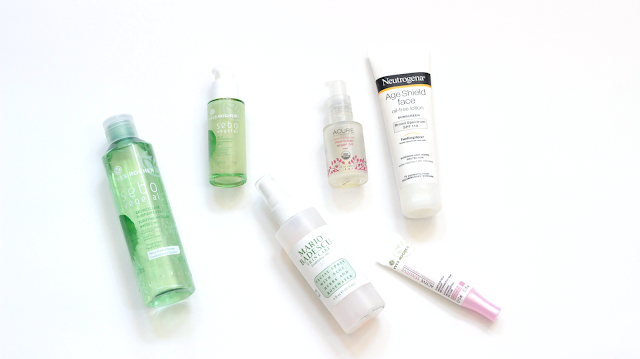 What are some of your favorite skincare products? Let me know in the comments below.